The Peabody Essex Museum's Empresses of China's Forbidden City is a fascinating new blockbuster with all the trimmings plus what blockbusters often miss: deep, provocative scholarship. 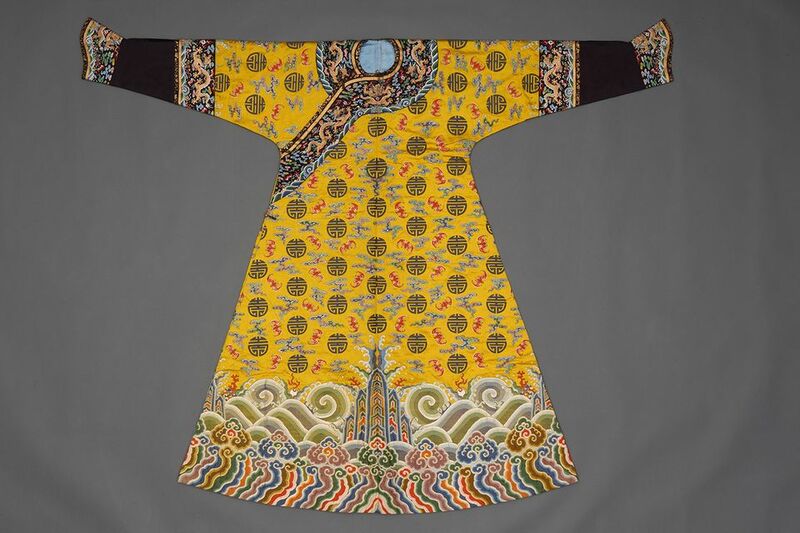 Stretching from 1644 to 1912, it's a collaboration of the museum in Salem, Massachusetts, the Freer/Sackler at the Smithsonian and the Palace Museum in Beijing. Through gorgeous, rarely seen objects, the show gives flesh and blood to the mysterious, often powerful women behind the throne. The show examines the empresses of the Qing dynasty, the imperial state founded in 1644 by a small northeastern China group called Manchus. The worlds of imperial men and women were separate but their boundaries porous. Filial piety was a core Confucian virtue generating intricate mechanics of hierarchy, deference and obedience as well as levers of power available to ambitious women. An emperor had many consorts. They were rigidly ranked, but within the system there was plenty of room on the greasy pole to move up and down and to tumble off. The show has multiple levels, and this is exhilarating, immensely educational and a trap. There are five profiled empresses, starting with Xiaozhuang (1613-1688) and ending with the Empress Dowager Cixi (1835-1908). I suspect that almost all the show's visitors knew next to nothing about these remarkable figures. I was among the near-ignorant, so I looked at the show first as an aesthetic feast. On that front, it's peerless. The show uses maps and architectural drawings to evoke an empress's home, but nothing gives us a better sense of history and domesticity than a 12-panel screen from 1737 with stories of empresses in preceding dynasties. Each empress is doing something virtuous, from reading Chinese classics to making love with her emperor guy to accepting punishment to keeping her husband in line to leading a court procession. A precious display cabinet for treasures was a gift to the Empress Dowager Chongqing (1693-1777) from her son. It would have been filled with books, scrolls and small works of art that we from a more prosaic world would call bibelots. Decorated with city and country scenes and auspicious bats, it represented the terrestrial world, the scope of the empire and the passage of thousands of years. It's hard not to rivet the eyes on what the court considered festive wear. A headdress with phoenixes and peonies is less apparel and more intricate, bewitching architecture. There are lots of robes, and they are nothing less than enchanting. A festive silk robe from about 1785 has exacting imperial iconography. Only an empress, a dowager or a high-placed consort could wear it. Its arrangement of dragons, clouds, waves and bats as well as where it opens are a code indicating status. Toward the end of the Qing dynasty, imperial women wore a more casual robe with short, wide sleeves. Intense new colors followed the introduction of new European dyes. The phoenix, the ultimate power symbol, never loses its place of primacy. Family values abound. A lavish wine ewer from the 1760s with gilding, coral, lapis lazuli and a charming painted mother-and-child garden scene is technically perfect and a lovely balance of design. I loved a carved polychrome lacquered wood tray from the 1740s showing a clutch of boys at play. As the show unfolds, aesthetics lead to biography. It's not surprising that we know the most about Cixi. She lived during the age of photography and a period where East and West were sometimes happily and often angrily entangled. She rose from an imperial concubine to a ruthless regent for her son and, after he died, her nephew. She was a moderniser, a meddler, an equivocator and a publicity hound. She commissioned a grand portrait of herself for display at the St. Louis World’s Fair in 1904 that is in the show. 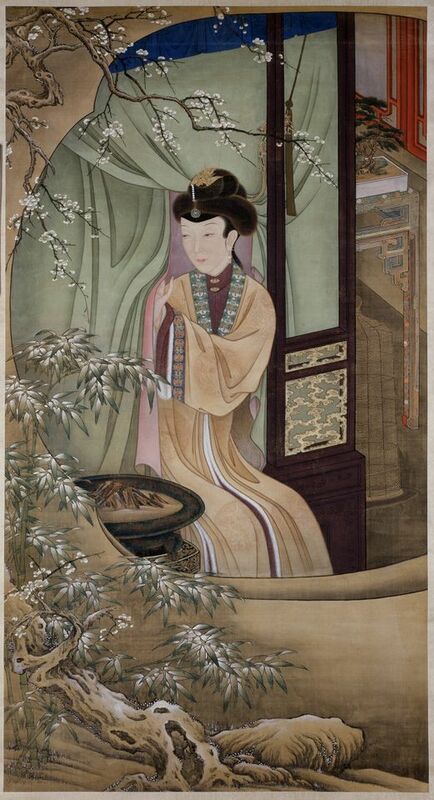 For the portrait, Cixi chose not to wear her most formal court attire with dragons, a gesture the curators believe she made to undercut a reputation as a grasper. She was, after all, said to have tried to kill her nephew months earlier so that she could seize his throne for herself. She was a historical pivot gone awry. Toward the end of her life, she seemed to aim at a constitutional monarchy. Instead, she died in 1908, leaving a restless, rudderless country. Within a few years, the emperor abdicated, civil war followed, and in 1949 Mao seized power. The trap is the show's scope and complexity. It's deep and dense. It's a connoisseur's show but also a survey of imperial art focused on empresses. There are big sections on portraits of Qing empresses, their religious practices and their role in court politics. There is art meant for a domestic setting. There are ceremonial costumes, too. We know very little about most of the empresses aside from their possessions but, in the case of Cixi, enough to carry a show on her alone. There's the obligatory women's oppression angle, which is overplayed. Yes, we know women in the imperial court were treated differently from men, so differently that they occupied separate universes that connected under tight regulation, yet the empresses were powerhouses and anyone with any sense knew it. There's no point comparing their concerns and opportunities with women in power today because it's a distraction. There are too many variables. At points, I craved focus. With multiple high-priority audiences–art lovers, scholars, Peabody Essex regulars who know its Chinese collection, students, and casual visitors–it's a high-wire act to provide interpretation that's meaningful and satisfying for everyone. I'm not sure the show got it right. There's a balance of wall labels and touch screens providing depth. Still, it was difficult to keep the personalities straight until I read the detailed, richly illustrated catalogue. The names are counterintuitive, and the history new to everyone except a committed Sinophile. I think a thumbnail reprise of the key empresses in each gallery would help, simply to anchor the visitor in a chronology or a timeline. I know it's a tough demand for curators since the show achieves the highest level of scholarship and expertise. I have no problem with demanding a lot from visitors. They've made it to the show, which means they value beauty and want to learn. Almost all will still need help. The robes are sumptuous. They're displayed in splayed and flattened format that allows the visitor to see the costume in its entirety. But they weren't worn by stick figures, and a few dressed mannequins would be a good idea. They would reveal the lovely way they hang from the body, with folds and shadows helping to define their elegance. It's a big show, too, and, as a matter of philosophy, I'm a believer in "less is more" in exhibitions. Often it falls to the director to play the grim role of enforcer of economy for the sake of focus and clarity.